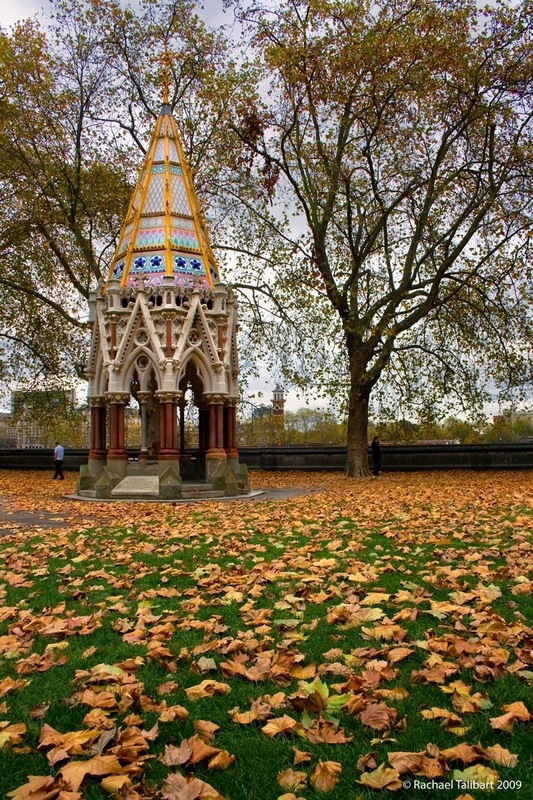 Autumn in the Victoria Tower Gardens, Westminster. 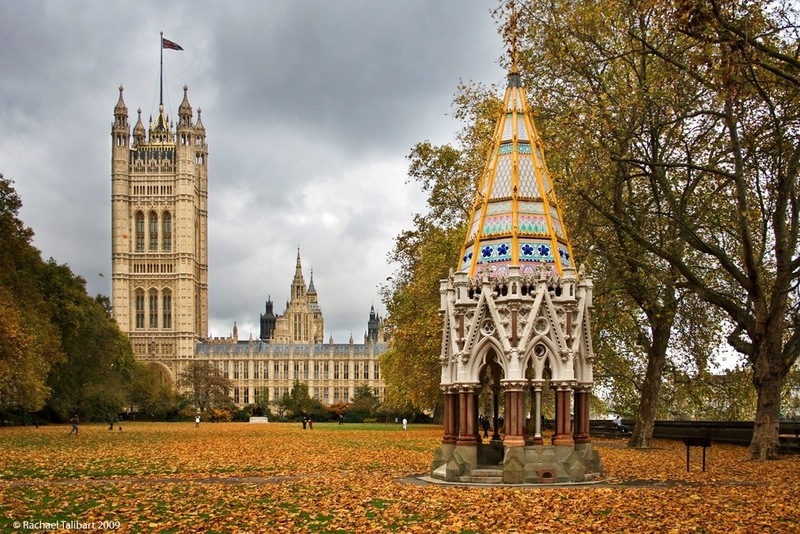 In the foreground (and below) is the Buxton Memorial Fountain, commissioned by Charles Buxton MP to commemorate the emancipation of slaves in 1834, dedicated to his father Thomas Fowell Buxton, and designed by Gothic architect Samuel Sanders Teulon (1812–1873) in 1865. In the background, of course, is the Palace of Westminster aka the Houses of Parliament, designed by Sir Charles Barry with advice from the great Augustus Pugin. This entry was posted in architecture, history, photography, travel and tagged architecture, Autumn, autumn colour, Great Britain, Houses of Parliament, London, photographs, photography, travel photography, Victoria TowerGardens, Westminster by Rachael. Bookmark the permalink. Amazing pictures… quite a nice/different perspective of Westminster! I love the autumn leaves covering the ground. It really brings home the change of the season. Funny, I was looking at flurries of leaves raining down today and thinking how hard they would be to photograph. Solution: get ’em when they’re down. Great pictures, and I didn’t know that about the slaves. I imagine you’d never be bored photographically with all the amazing architecture in the UK. Love it! Beautiful autumnal colours in the foliage and the architecture. Looks like you painstakingly placed all the leaves for your second shot! Bril!